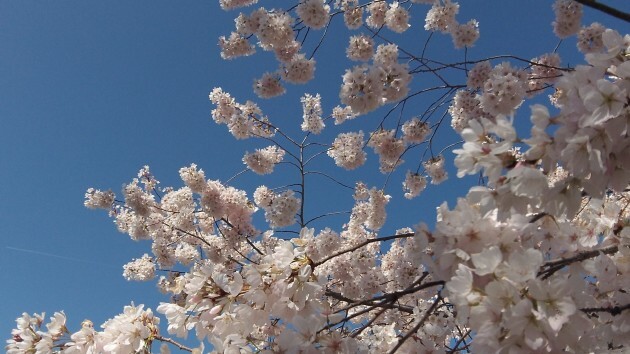 Blossoms and blue sky: What could be more pleasant than a Sunday in spring? Climate change seems to be on everybody’s mind — if you consider politicians and writers of letters to the editor to be “everybody.” Luckily, there are the rest of us, rejoicing this time of year in the arrival of spring. We are getting warmer temperatures and even sunshine. What a wonderful gift! And it’s free! Sure, there’s the obligatory downside. The grass keeps growing and wants to be mowed. But that’s about it. We are not talking about the climate here. We are talking about the turning of the seasons. Slight changes in temperatures and rainfall over many decades hardly amount to a change in climate. All the talk about preparing ourselves for such changes is mostly baloney, as about the only thing that really makes sense is to build more water storage reservoirs on our rivers in order to capture our wintertime floods. But the people always yammering about climate change are not about to consider building dams. What they want, mostly, is to shut down the use of traditional sources of energy, which makes everything more expensive and benefits only the privileged rich. Nothing will dissuade them, not even data taken not from models or predictions but from real life.